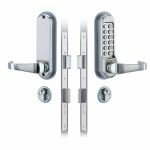 The Codelocks CL520 Stainless Steel Mortice Lock With Anti Panic Function is supplied with a heavy duty tubular Mortice latch with a double cylinder, 3 keys and an anti-panic safety feature. When the right code is inputted, the external level handles will retract the latch and when the door is closed, the spring loaded latchbolt automatically locks. 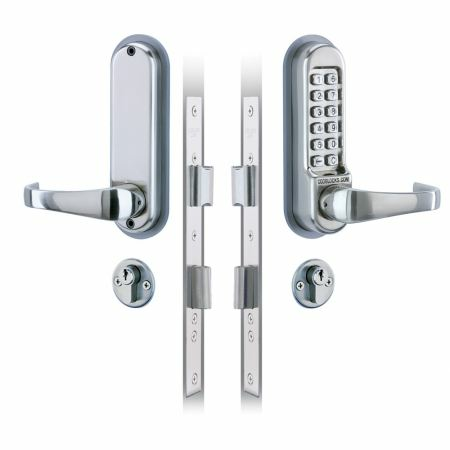 Without requiring the code, the key retracts the latchbolt, and controls the deadbolt position. When the deadbolt is projected it denies access by code and the safety feature lets the inside lever handle retract the deadbolt and the latchbolt, preventing people from being accidentally locked in. 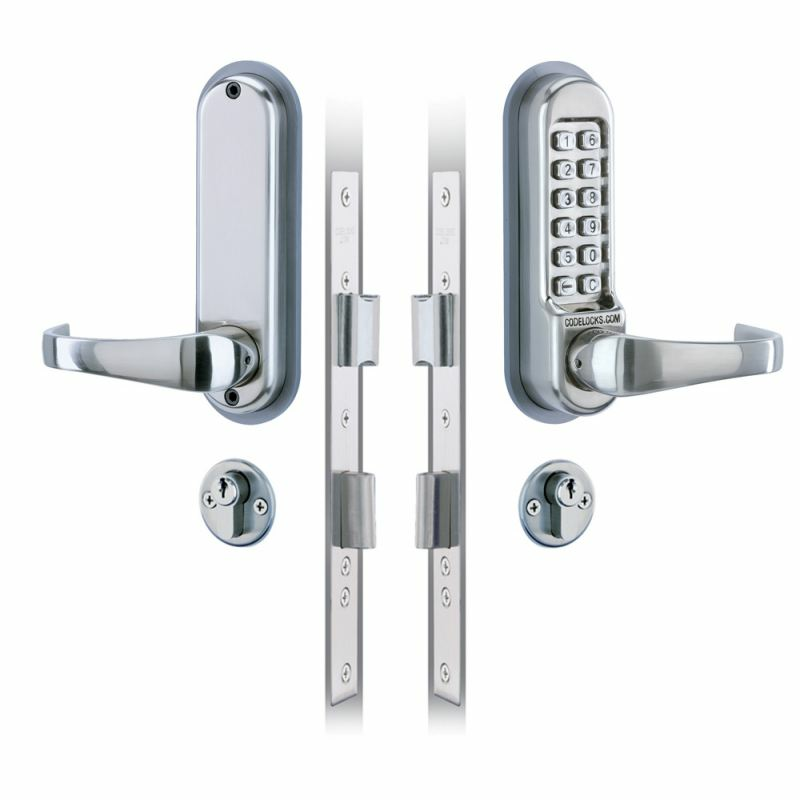 The CL520 locks are supplied with a random code commencing with the "C" clear button. To change the code after fitting, the lock must first be removed from the door. The code is non sequential, that is the code can be entered in any order e.g. 1234 can be 4321 or 1342 or whatever is the most convenient sequence. With the 13 buttons a total of 8,191 different codes are available, any of which may be entered in any order.